This novella is my second title in the multi-author series titled “The Widows of Wildcat Ridge” which is set in 1884 Utah Territory. 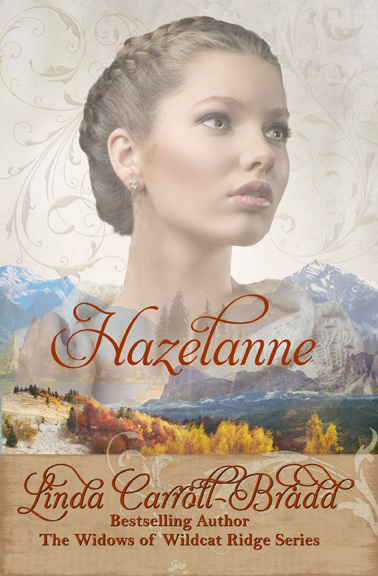 Hazelanne Pitts dreams of more in life than the responsibilities of raising her five younger siblings to assist a sickly mother. Secretly, she corresponds with a rancher in Wildcat Ridge, Utah Territory, who wants a mail-order bride. When the money for the stagecoach ticket arrives, she sets off to be married. But a week later, a mine explosion claims the life of her new groom. Struggling to tend the ranch chores on her own, she becomes injured and doesn’t know if she can ride to town for help. A pretty sweet-natured passenger, Hazelanne, caught stagecoach shotgun rider Brice MacAndrew’s eye when she traveled to Wildcat Ridge. Hearing she was the mail-order bride of Clay Oliphant, a known drunkard, didn’t sit well. After the mine disaster, Brice goes out to the Oliphant ranch and finds an injured Hazelanne who is on the edge of collapse. The only way he can help is to offer a marriage of convenience. Can the ranch become the haven both are looking for? I have ARC copies available for those willing to post a review. Reviews posted within seven days of receipt earn the reviewer a chance at a $10 Amazon card or choice of three backlist titles. Email l.carrollbradd@gmail.com to receive a copy and mention this blog post.